This entry was posted in Uncategorized and tagged 2016 PGA season preview on January 8, 2016 by Cory. This year’s British Open was full of surprises. With fierce winds that caused a Monday finish at St. Andrews, this was probably the most memorable Open since 2002, when Ernie Els overcame almost insurmountable odds to win. Many bettors took advantage of the online betting sites to wager on the outright winner of the 2015 Open Championship, and with the surprising outcome of the tournament, there were probably more than a few sour faces as favorites fell by the wayside. This entry was posted in News and tagged golf, jordan spieth, louis oosthuizen, marc leishman, open championship, st andrews, zach johnson on July 29, 2015 by Cory. Rory McIlroy is three-fourths of the way to the career Slam at age 25, with four total Major victories to his trophy case. 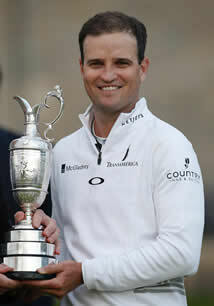 The Major Championship that has eluded the No.1 player in the world up to this point has been the first of the season. This entry was posted in Opinion and tagged 2015 masters, 2015 pga tour season, rory mcilroy on January 26, 2015 by Bryan. The new era of the PGA Tour will begin it’s second go-around with the quick flip from one season to the next. Just last month, Billy Horschel took the FedEx Cup Championship with two victories in the Playoffs capped off by the win at the Tour Championship in Atlanta. 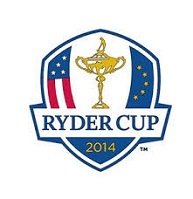 From there, we had the Ryder Cup that was dominated by Team Europe. This entry was posted in News, Opinion and tagged 2014-15 pga tour season, 2015 pga tour season on October 9, 2014 by Bryan. Rory McIlroy is the third player in history to win three majors by the age of 25. The other two are Jack Nicklaus and Tiger Woods. While the majority of focus on Jack Nicklaus’s record of 18 Majors has centered around if Woods can break it or not, perhaps we should start taking a look at McIlroy. At just 25 years old, McIlroy is one Major win from the career slam if he were to win the Masters. His next opportunity to close out all four Major woulds be in April. But his next opportunity to win a Major will be in a couple of weeks for the PGA Championship. McIlroy captured the 2011 PGA Championship by a whopping eight shots. The win at the 2014 Open Championship has shifted the way that McIlroy is being thought of, and more importantly the way that he thinks of himself. It’s been no secret over the course of the last 18 months that McIlroy has struggled with his game. It was just over a year ago that he walked off the course in the middle of the Nissan Open. It is a move that he regrets, but has learned from. It hasn’t been a fast process, but McIlroy looks like he is well on his way back to the top of the golf world. He is now the No.2 ranked player in the world, and has Adam Scott in his sights to chase down No.1 and reclaim that top spot once more. 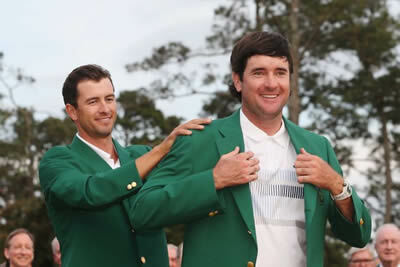 He will get the chance to do that at the 2014 PGA Championship, and there is no doubt that he will come in confident. That would give McIlroy four Major victories, still 14 behind Nicklaus. But if McIlroy is somehow able to get a couple more Major over the next two of three years, that would legitimately put him in the conversation of becoming the all-time leader. McIlroy has the talent to win every Major that he enters. But what’s more important, is that he is one of only a handful of players that can win a Major Championship when he isn’t playing his best. Only Woods, and a couple others out there can make that claim. McIlroy appears to have turned a corner, and if he is able to seize the moment and turn it on over the next few years, we could be looking at a player that has the opportunity to become golf’s next superstar. And with golf trending down in popularity, that is exactly what the sport needs right now. This entry was posted in Opinion and tagged jack nicklaus, rory mcilroy, tiger woods on July 25, 2014 by Bryan. What Can We Expect From Tiger Woods At The 2014 British Open? Tiger Woods returned to the PGA Tour a few weeks ago at the Quicken Loans National at Congressional Country Club, a tournament that benefits Woods’ foundation. He admitted that had it not, he would have not played in the tournament. The goal since the surgery has been the British Open. But with Woods missing the cut at Congressional, it certainly raises questions about what kind of form he will be in when it comes time to tee it up at the Open Championship next week. 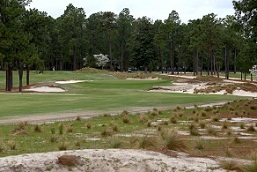 The good news is that this is a golf course that Woods has won on, capturing the 2006 British Open. The bad news, or rather the uncertainty of it all is what game Woods will bring with him overseas to Hoylake. It’s a good thing that he was able to get competitive rounds in, but can we realistically expect woods to be in the mix on Sunday? Look, we are the first ones to praise Woods on his accomplishments, but that is the player that he was. The player that he is now is a wildcard. We simply do not know what to expect and he has shown no signs of finding top form heading into the third Major Championship of the season. And lest we forget this is actually the first for Woods since the 2013 PGA Championship. Woods missed the Masters and the U.S. Open in the same season for the first time in his career. This layoff is a bit different than those he has suffered in the past, simply based on the fact that he is 38 years old. Father time is bearing down on the number of legitimate chances Woods will have at moving beyond 14 Majors, a number that he has been stuck on since June of 2008. That is more than six years since Woods has won a Major. To put that into perspective, Barack Obama wasn’t even in the White House at that point, he was merely in the process of running for his first term. Unfortunately, we really didn’t get the chance to see Woods much because he only played 36 holes at Congressional. It would have been nice to see him make the weekend and show signs of coming back. For now, his progress is being made away from the spotlight and on the practice tee. You can bet that Woods has this one marked on his calendar as a chance to get No.15. What bodes well for Woods is that when he won in 2006, he hit just one driver off the tee. Certainly you can expect somewhat of a different setup, but if Woods keeps it in the fairway, he can avoid going off the tee with a driver. This could give him the opportunity he needs. This entry was posted in Opinion and tagged 2014 british open, tiger woods on July 10, 2014 by Bryan.